on June 12, 2017, 12:45 p.m. While the results of the recent UK election may have come as a surprise to many, the team at YouGov were not shocked at all. Although cynical before the elections, most experts praised the model for it's accuracy once the results were declared. 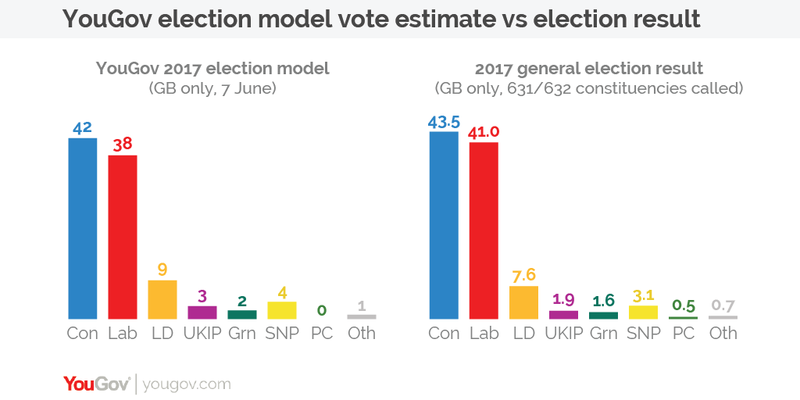 In the UK elections YouGov did not just get the winner correct, in most cases the estimated party vote shares were accurate to within three or four percent. 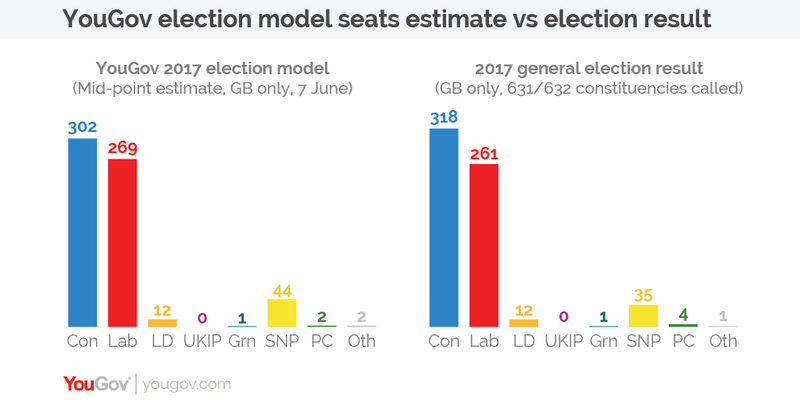 YouGov’s final estimates posted before the election had the Conservatives winning a narrow victory over Labour on vote share and falling well short of a majority with 302 seats to Labour's 269. Increasingly, YouGov believe that the data led approach will play a crucial role in all market research, allowing researchers to dive further into the detail of the data to see people more as individuals rather than as simply members of large groups. The implementation of the model in consumer research would give companies the ability to predict consumer opinions, behaviours and trends more accurately than ever before. “The YouGov approach of looking at a 360-degree view of consumers by connecting data from multiple sources helps brands develop an accurate portrait of fast evolving consumers. The YouGov approach has been validated by several global brands and has also been proven accurate in predicting the outcome of the UK elections in an ever changing political landscape” said Kailash Nagdev, Managing Director of YouGov MENA. “YouGov has been leading the implementation of the connected data model referred to as ‘data cube’ and online research approach for several brands in the MENA region. With one of the highest internet penetrations in the world, it is imperative for brands to move away from large traditional research projects that offer a static portrait of consumers to a more agile approach with continuous data stream” said Nagdev. YouGov’s MRP model uses data from multiple sources (approximately 50,000 interviews each week) in addition to survey questions and applies a recently developed MRP statistical procedure, to adjust for differences between the respondents and a nationally representative sample, whilst also supplying the algorithm with further relevant data during computation. an overview of how the model was used for the election can be found here.